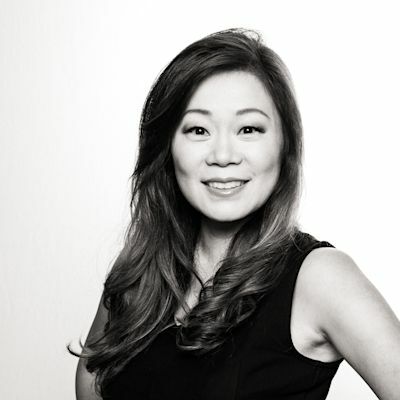 Jeanie Ahn is a personal finance reporter and senior producer at Yahoo Finance. Reach out to her by email jeaniea@oath.com. In our money mailbag this week, a viewer asks:“How does the Apple Card compare to other cash back cards out there?”Yahoo Finance Personal finance reporter, Jeanie Ahn, breaks it all down. Yahoo Finance's Jeanie Ahn interviews Arun Ponnusamy of CollegeWise about how to choose a college you can afford. A weekly round-up of the consumer news you need to know for the weekend, including Richard Branson slamming U.S. paid vacation policies, taxes on par, and asbestos found in Claire's make-up. The average women earns 80 cents on the dollar compared with men. Here's what women can do to close that pay gap for themselves. Do you owe taxes this year? Jeanie Ahn of Yahoo Finance breaks down the options taxpayers have to be in good standing with the IRS. In this week’s Family First, Jeanie Ahn breaks down the latest problems taxpayers are facing as they file this year, as well as the looming threat of zombie deer disease and arsenic in the juice you give your kids. The growing number of auto safety recalls are worrying for more than just car owners. A weekly round-up of the consumer recalls and news you need to know. Want to start building your wealth with your partner in life, but don't know where to start? Jeanie Ahn shares some simple tips to get the conversation going so your money can start growing. A roundup of auto recall safety concerns, Wells Fargo bank outage updates, and FDA warning for underage tobacco sales. In this week's segment for "Your Questions Answered" Jeanie Ahn talks about the rising costs of prescription drugs and shares what consumers can do to shop around for more affordable alternatives. Tough but essential questions you need to ask your partner. All the information you need to know about food and medicine recalls this weekend. Is trip insurance worth it? Say you’ve booked a great trip, and then the day before you’re supposed to leave you find out Mother Nature has other plans. What can you do? Jeanie Ahn shares a quick sum-up of the biggest tax changes the average filer can expect as you're preparing your 2018 tax return. In this week's Family First segment, Jeanie Ahn has what you need to know about taxes and auto recalls ahead of the weekend. On this week's "Your Questions Answered" Jeanie Ahn reports on what you need to know if you have plans to travel during the shutdown. To get your credit in shape, you have to be able to answer these three simple credit questions.